The newly installed chief information officer at trouble-plagued Tokyo Stock Exchange Inc. vowed Thursday to improve the computer trading system of Asia’s largest bourse to make it more competitive in the global capital market. The CIO position was created by TSE President Taizo Nishimuro, who took the helm after a series of problems with the exchange’s trading system. “My feeling is that the TSE has been a bit slow to (respond to) the fast changes taking place” in IT business models, Yoshinori Suzuki, 57, who assumed the post the previous day, said at a news conference. 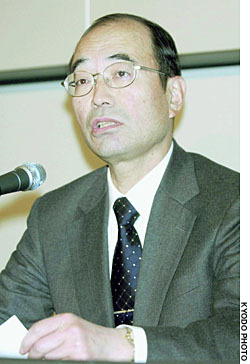 A veteran engineer with the NTT group, Suzuki spent most of his career building information systems for banks. Before Suzuki’s appointment, Nishimuro had said the TSE was looking to fill the CIO post with one of the best system engineers in the country. As a private investor, Suzuki said he too has been dismayed by the problems that hit the TSE’s computer system last year, adding that he will refrain from trading stock in his new position. Although he said he had to study the TSE’s system before mapping out concrete steps, Suzuki faces a daunting task if he wants to be effective as the bourse’s first IT czar. The exchange has come under fire for being too slow to respond to increased trading volume, and even when it did upgrade capacity, critics said it was too little, too late. Despite an increase in capacity last month, the TSE has maintained shortened trading hours, which were introduced following its shutdown on Jan. 18, after a raid by prosecutors on Internet firm Livedoor Co. triggered a flood of panic selling. The TSE is also facing pressure to overhaul its trading system to prevent large, erroneous trading orders from slipping through the system. A system glitch has been blamed for worsening the damage caused by a massive sell order for J-Com Co. shares in December. The system did not properly process Mizuho Securities Co.’s request to cancel the order. Critics argue the TSE should have prevented the trade from being executed in the first place, given its extraordinary size. In a report submitted Tuesday to the Financial Services Agency, the exchange said it plans to tweak its trading system to automatically reject orders that exceed a certain proportion of outstanding shares. The TSE also said it will create a post with the authority to suspend trading of shares immediately in the event of irregularities. Trade sizes probed Financial Services Minister Kaoru Yosano indicated Thursday the practice of allowing investors to trade stock in units of varying sizes may be reviewed because of its potential to harm the market. 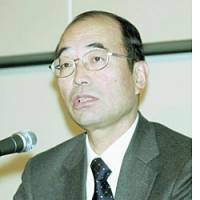 Yosano told the House of Councilors Budget Committee the Financial Services Agency will consider reducing the number of trading units. According to Tokyo Stock Exchange Inc. President Taizo Nishimuro, who spoke before the committee the same day, there are seven minimum trading units, ranging from one to 3,000 shares. “We will rethink the present system because it probably has a problem,” Yosano said. “We hope to change the system from the standpoint of improving convenience and security before the scheduled introduction of electronic stock certificates in 2009,” Nishimuro added. The use of multiple trading units has become an issue due to the recent spike in trades of Livedoor Co. stock, which swamped the TSE’s computer system. The surge in transactions is blamed in part on the fact that Livedoor stock can be traded in one-share units, which made it easy for individual investors to invest in the Internet company.